I had the pleasure of meeting Nancy Graham last night at my favorite downtown dining room, 11Central. Good things seem to happen here. Thank you to Ann Marie for starting this fabulous business! You are Bangor Maine's Martha Stewart! I don't know a heck of a lot about Nancy Graham, former owner of her own boutique that she simply called "Nancy's". But I do know that as a child I used to day dream about going into her shop. My mother would tell me that it was too expensive and that it wasn't a place that we should go in to just "look around." Even as a child of seven years old I knew good taste and great style when I saw it, even if it was only through a boutique window. Nancy's was located in Downtown Bangor, Maine for two decades. However my older sister, who also happens to be named Nancy, did manage to go into Nancy's boutique and make a purchase. That purchase was the most gorgeous red Calvin Klein cashmere sweater which was passed down to me about two years ago and believe me, I am holding on to that sweater very tightly. This red Calvin Klein cashmere sweater from Nancy's boutique is far from ordinary. It's got a slight dolman sleeve then it gets more fitted through the body. It's also the most beautiful shade of red I have ever seen. The cashmere is unlike the cashmere of now. It's thick and warm and as soft as a newborn baby's skin. 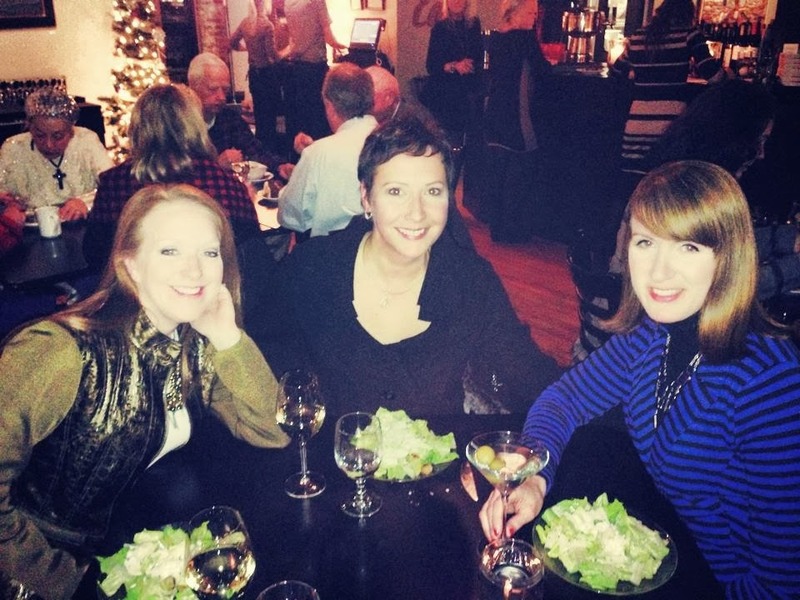 My friends Lisa, Charlene and I eating, drinking and being merry at 11 Central! Creative minds at work! Watch out! I have had the pleasure of Ms.Nancy's company in my studio About Face for decades. She is truly the original "fashionista" of our area with impeccable taste ! She is one special lady indeed.